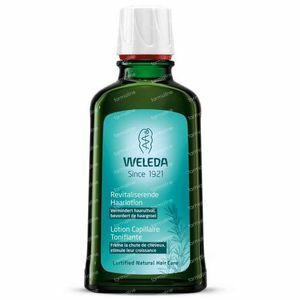 Weleda Revitalizing Hair lotion 100 ml order online. 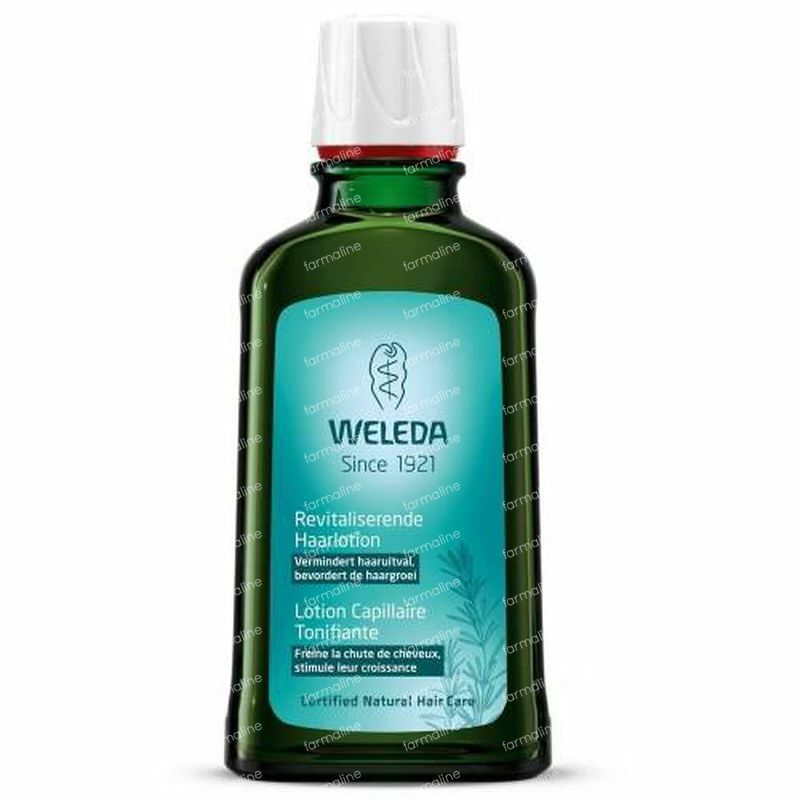 The very first product Weleda ever developed, this formulation is based on rosemary oil, extracts of biological wallpepper and mierik root to stimulate hairgrowth and fight hairloss. Apply morning and night into the scalp with damp hair, don't rinse out.